Mr. 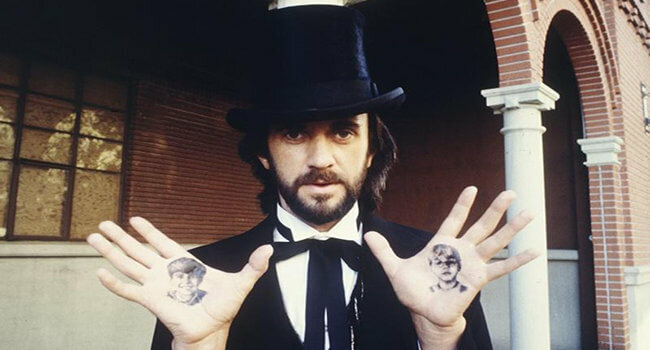 Dark (Jonathan Pryce) is the villain of Ray Bradbury’s classic novel Something Wicked This Way Comes and its 1983 Disney adaptation. He is a sinister man who is the leader of the Autumn People and he bears tattoos all over his body; one for each person successfully tempted into joining the Dark’s Pandemonium Carnival he founded and runs. Tattoos optional.